The FAFS Corp Audit Team specializes in Auditing crm transactions along with reporting and special cliental projects. This team is trained to pay attention to the details. They verify that all steps required for each service is handled correctly. No detail is too small, and no stone is untouched when it comes to standards of operation in their team. We believe weekly calibrations are Key in understanding and knowing what the long term goals are for our standing partners. Weekly goals and the feedback are prepared and put into goals and procedures thru the company. Weekly calibrations are then transmitted thru the client managers to the Quality Teams and Management. FAFS Corp believes in having a training structure for all employees. Weekly, monthly and annual retraining is conducted thru-out the company. Special Client trainings are conducted on the weekend covering specific needs required for each client. This allows the team of Client managers and quality evaluators time to verify that each employee is given the correct specific directions to any updates and goals. You will find that all the training courses focus on critical areas to improve service levels, increasing employee engagement, optimizing operations, and raising the overall value of the products we represent. We are constantly updating and fine tuning our training to keep pace with the trends and challenges in the industry. Our training courses reflect the most current best practices and research. Due to high demand, we have taken our successful internal quality and auditioning structure and have offered this as a service to clients. Our diligent and highly trained quality team has successfully turned around problematic marketing schemes’, has developed and maintained a strong ethical sales teams and is always prepared to find a workable marketing solution. More and more companies are finding the value of allowing a 3rd party maintain their quality service level. Listen to: 100% – 80% – 50% – 25% – 10% of your recorded sales overnight, before you send to shipping or billing. Live Monitor or spot check marketing centres and teams. Data Verification on any files prior to paying for. We can listen to your sales calls and verify they are meeting your quality standards before they are sent for billing or shipping. Custom feedback and quality guidelines can also be accommodated, allowing you to receive and review the reporting and customer feedback at a glance. 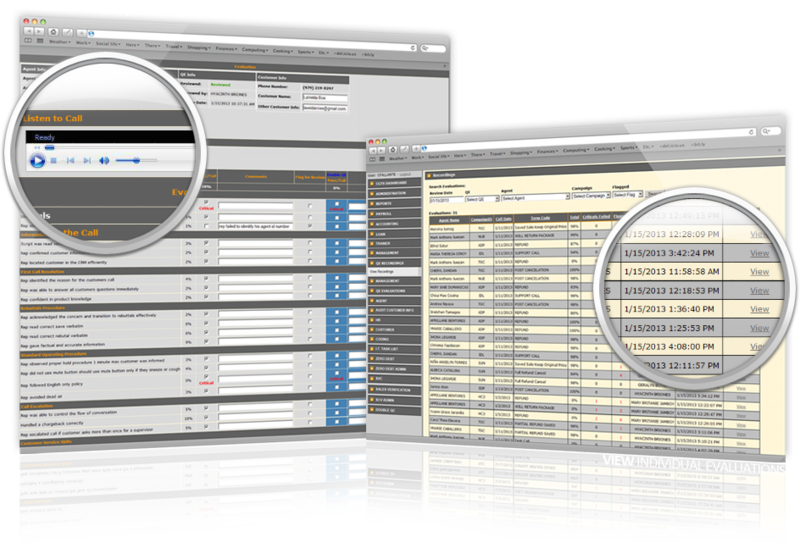 Having high standards in quality demands a high standard of detailed reporting options. Service level standards or bench mark requirements are set and are plugged into our tired system which allows us to see daily or in real time a level preformed.